The cornstarch minipot is made with biodegradable material that breaks down when composted. 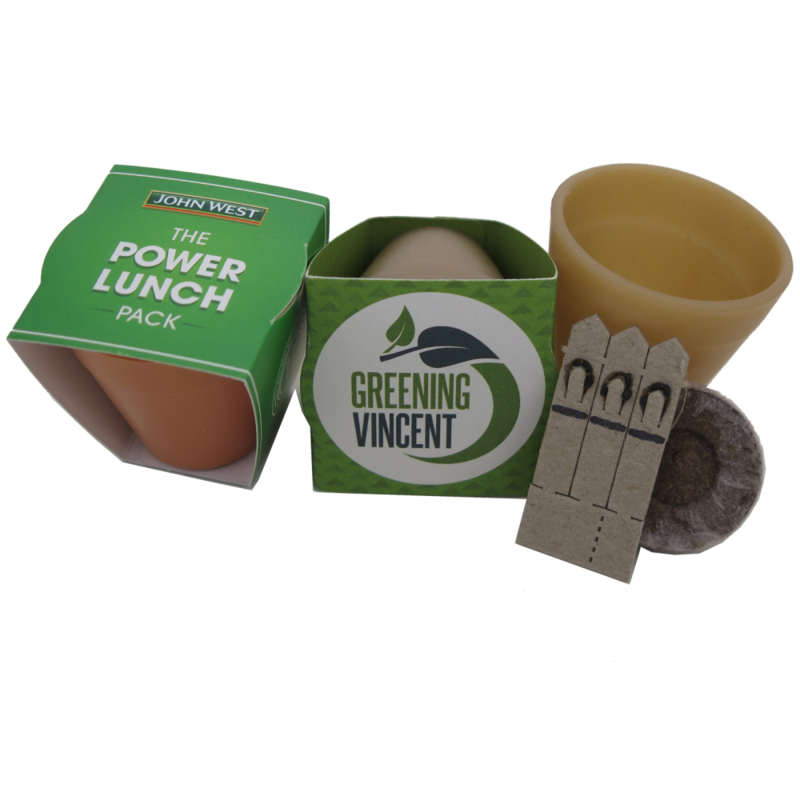 The compressed peat pellet and 3 seeded sticks are contained within the minipot and held in place by a simple custom printed wrap. Pack size when assembled is 45mm x 45mm. Minimum order quantity is 250 units.